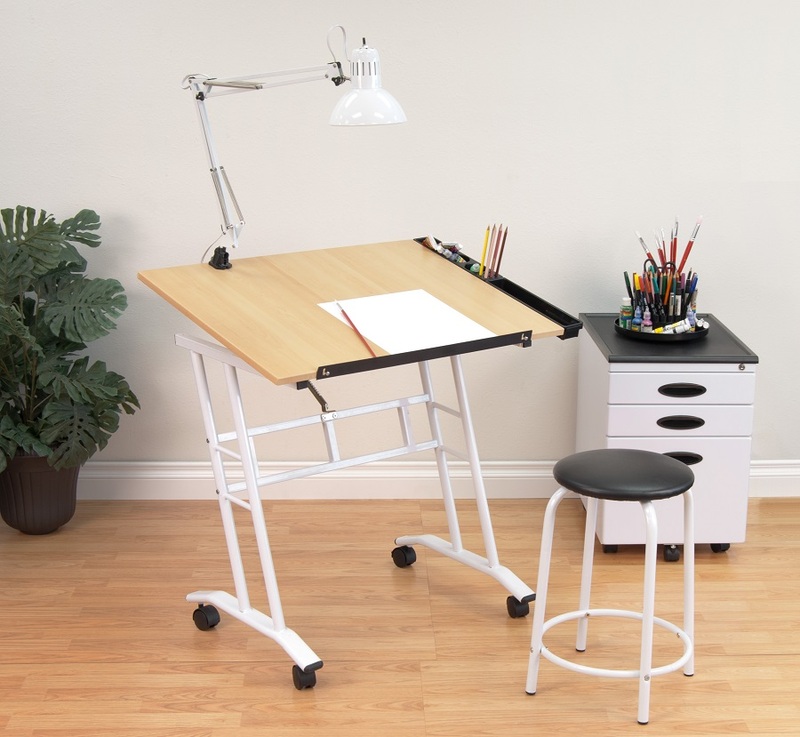 Introducing the Studio Craft Center. 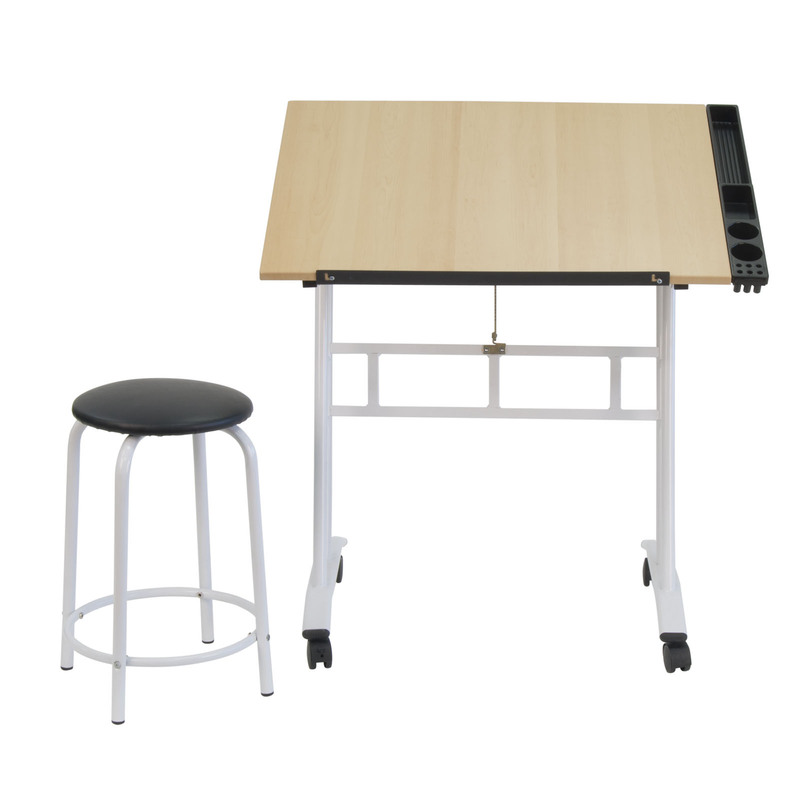 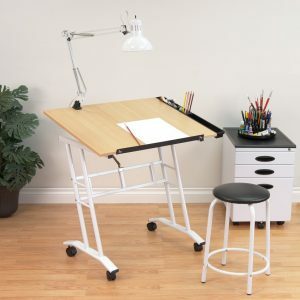 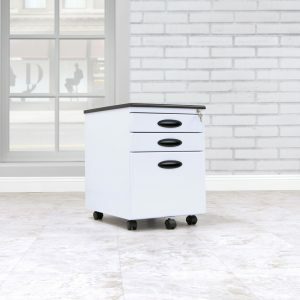 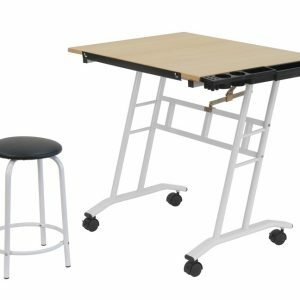 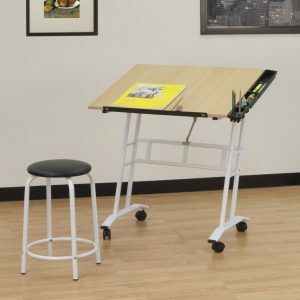 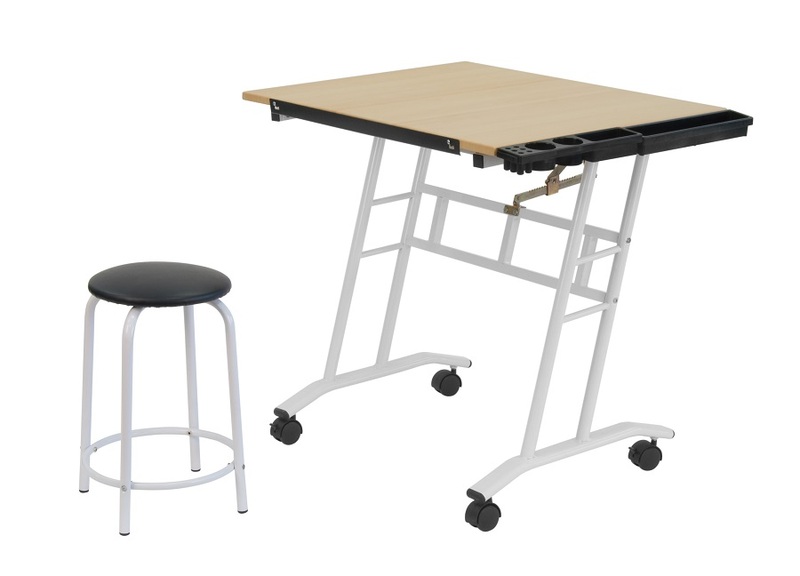 The simple, yet efficient design includes two removable side trays, a 31.5"W x 23.5"D table top which adjusts in angle from flat to 30 degrees and a 24" pencil ledge that slides up and locks into place when needed. 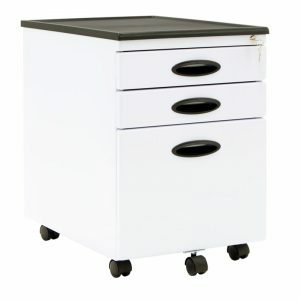 Four casters with two locking make for a secure mobile workstation. 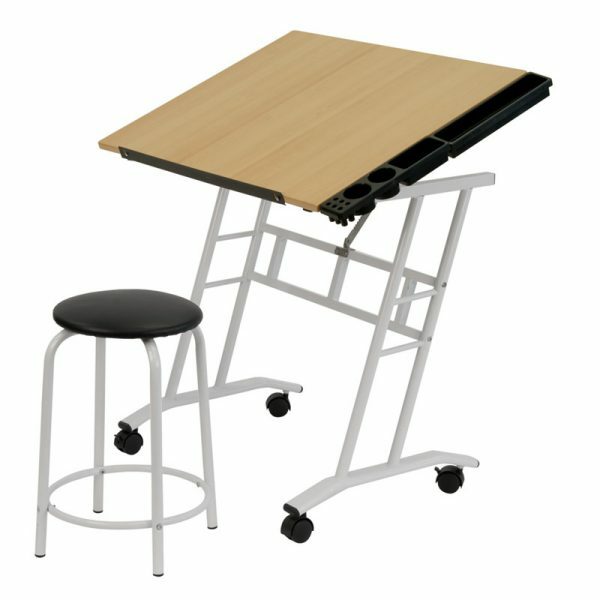 A 21" padded stool is included.